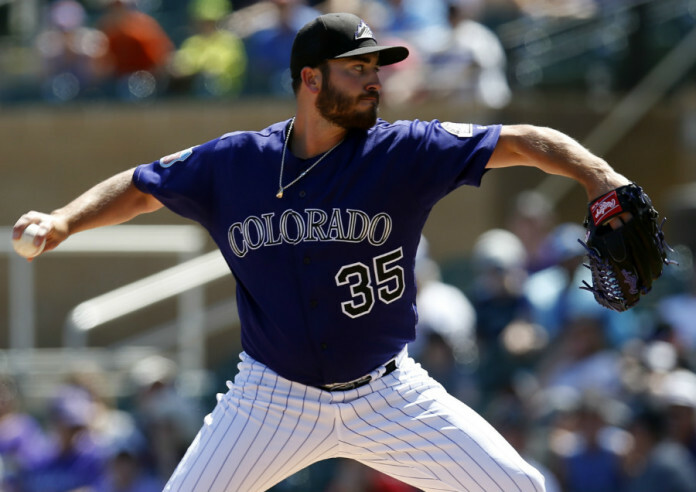 After a night that saw manager Bud Black use his relief pitchers to earn 26 outs, the Rockies have made several moves with their pitching staff, including reinstating Chad Bettis (testicular cancer treatment) from the 60-day DL and optioning him to Triple-A Albuquerque. 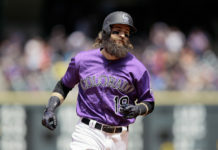 The Rockies announced Saturday that they recalled right-handed pitchers Shane Carle and Carlos Estévez, placed left-handed pitcher Kyle Freeland on the 10-day disabled list (left groin strain) and optioned right-handed pitcher Scott Oberg to Triple-A in addition to the Bettis move. Carle will be making his second appearance on the Major League roster. He was recalled April 14 and made his Major League debut that night in San Francisco. He pitched one scoreless inning with one strikeout in his one appearance for the Rockies prior to his April 16 option to Triple-A. With Albuquerque this season, Carle is 3-5 with a 6.05 ERA (55.0 IP, 37 ER), 21 walks and 44 strikeouts over 31 appearances, including three starts. Estévez will begin his seventh stint on the Major League roster this season, including two recalls as the 26th roster player in double-headers. He has combined to go 4-0 with a 8.10 ERA (16.2 IP, 15 ER), six walks and 18 strikeouts in 18 games with Colorado in 2017. Freeland was removed from the game in the first inning Friday night with a left groin strain. The Denver native is 11-7 with a 3.70 ERA (121.2 IP, 50 ER), 44 walks and 77 strikeouts across 21 starts and one relief appearance. Among Major League rookie pitchers, ranks first in wins (11), innings pitched (121.2) and ERA among qualifiers (3.70). This is his first career placement on the disabled list. Oberg made his first career Opening Day roster this season and has gone 0-1 with a 5.91 ERA (42.2 IP, 28 ER), 18 walks and 40 strikeouts in 49 relief appearances – the most on the team. In his career with Colorado, he is 4-6 with two saves and a 5.39 ERA (127.0 IP, 76 ER), 60 walks and 104 strikeouts. Bettis was diagnosed with testicular cancer last offseason and was placed on the 60-day disabled list on March 26 to continue treatment. The right-hander has made five rehab appearances (four starts) across Double-A and Triple-A, and is 0-2 with a 4.91 ERA (18.1 IP, 10 ER), seven walks and 15 strikeouts. 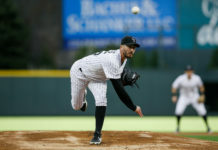 In his career with Colorado, Bettis is 23-19 with a 5.01 ERA (370.1 IP, 206 ER), 131 walks and 279 strikeouts across parts of four seasons with the Rockies since his Major League debut in 2013. Jon Gray is scheduled to start Saturday night’s contest with the Phillies at Coors Field.